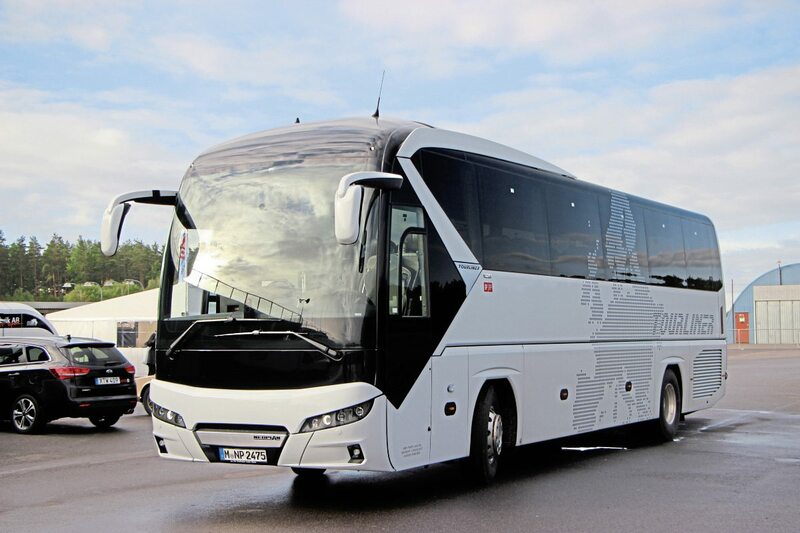 The new generation Tourliner, first seen at last year’s IAA show in Hanover, is built in the same Turkish factory as the MAN Lion’s Coach and shares the same driveline but it is distinctly different. 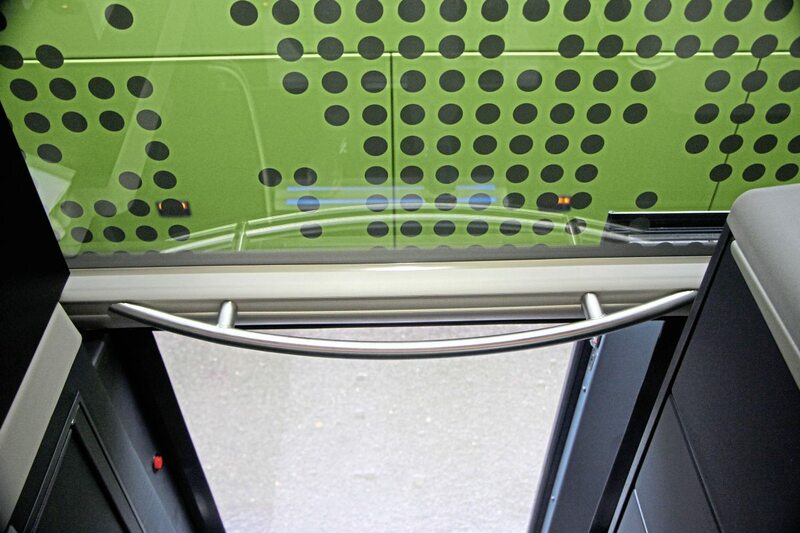 Using the services of MAN’s BMC (Bus Modification Centre) at the former Neoplan manufacturing plant at Plauen, it can be customised to exactly match the customer’s needs in the same way that Neoplan would once do. 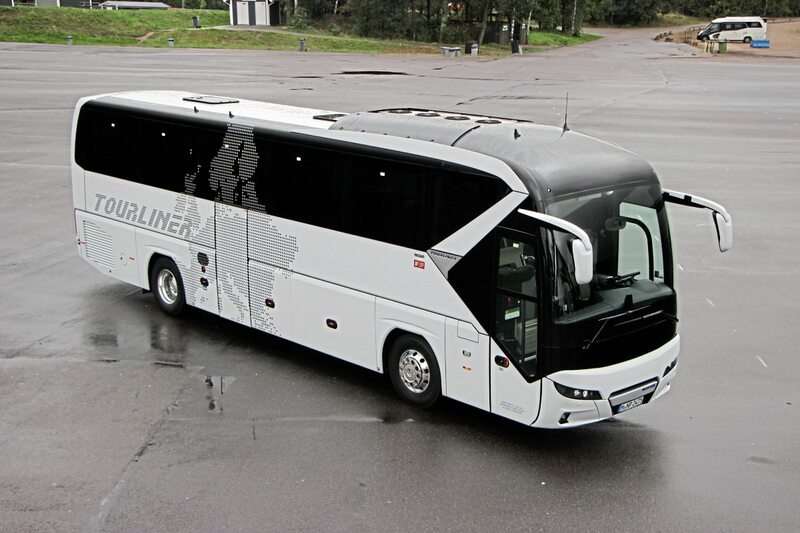 Some evidence of this was to be seen on the coach entered in Sweden which was a 12.113m two-axle model with 40 recliners and two tables rather than the 44 it would normally have when specified to Germany’s four star specification. 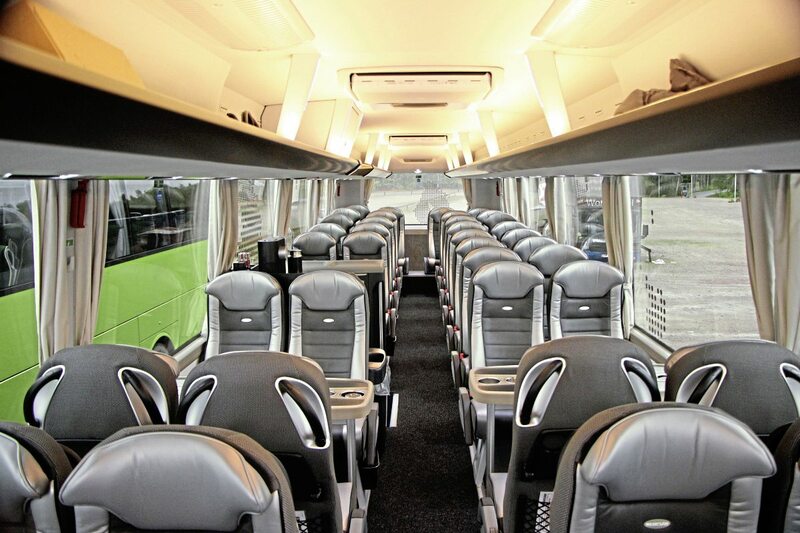 You can have 57 seats and a toilet at 12.1m. 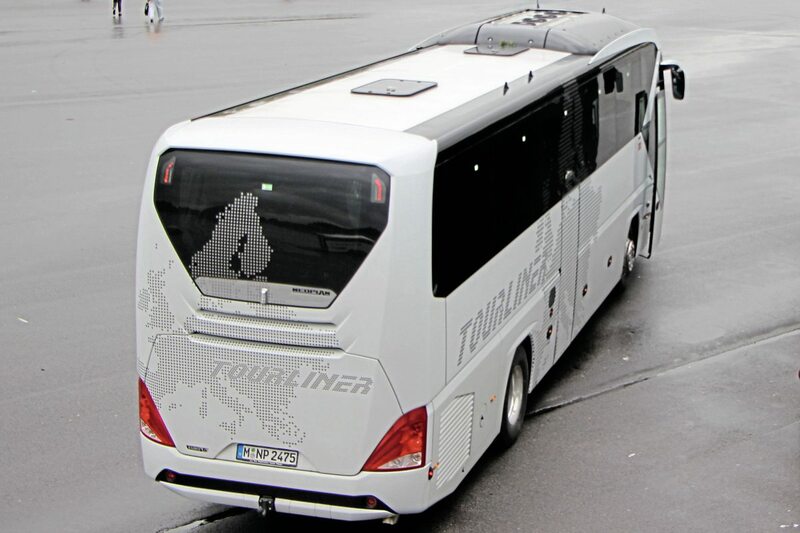 To date, there have been 370 new-generation Tourliners sold including nine in the UK. 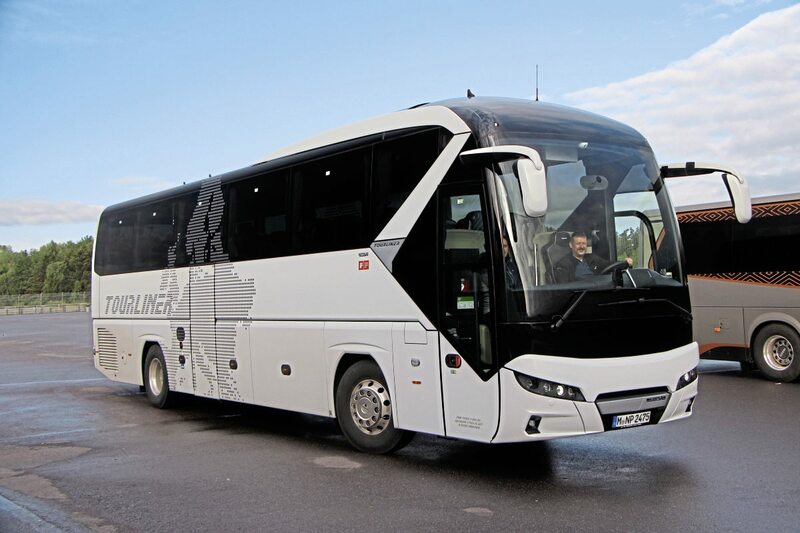 The new look owes a lot to the Neoplan Cityliner but it gives an impressive drag coefficient of 3.6 that contributes to a 10% improvement in fuel efficiency over the previous generation. All versions have a flat floor though, if the 2+1 seat layout is specified, the small section of sloping centre aisle at the front disappears and there is an extra step incorporated to reach the main aisle. 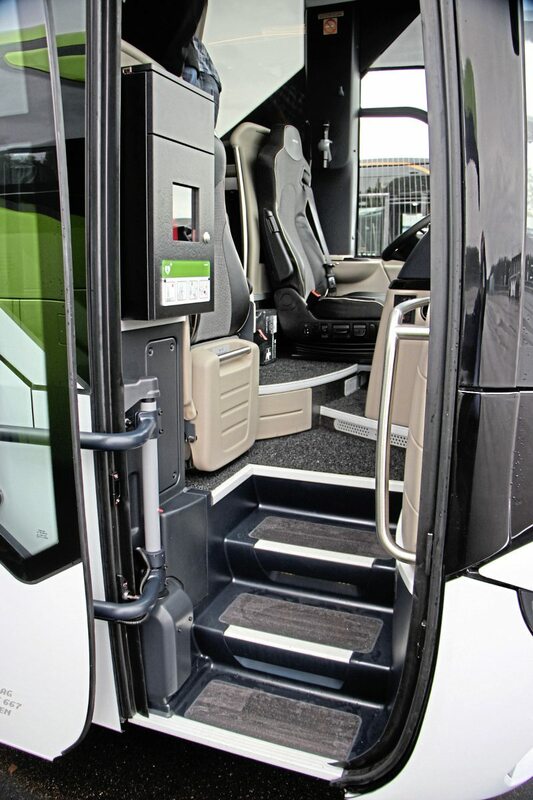 When wheelchair access is required, to avoid impinging on the luggage hold, the lift goes over the rear axles on three-axle models and, on two-axle coaches, is located over the front wheels. 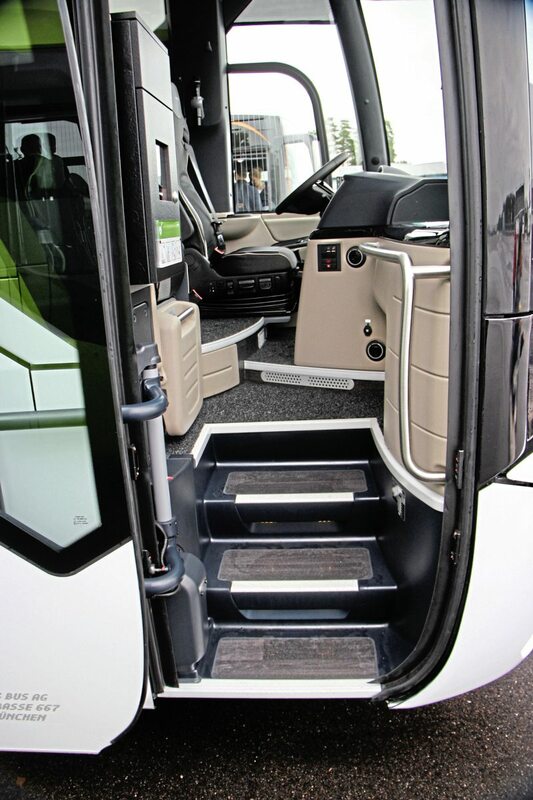 Normally two wheelchair spaces would be provided on such conversions but examples have been built with virtually the whole interior given over to wheelchairs. At E265,000 for the vehicle entered, which included around E20,000 on options such as the Exclussivo leather/fabric trimmed seats with adjustable headrests, it looked a value-for-money package with only the Iveco costing less. It had been fitted with a small kitchen unit, two tables and a driver storage unit next to the courier seat at the BMC facility and another option was a fire extinguishing system. 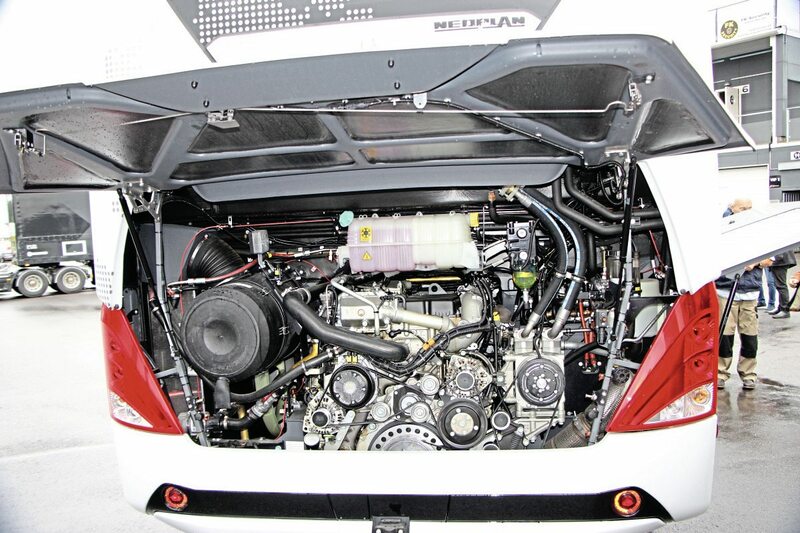 Apart from the latest version of the D2676LOH 12.4-litre engine, which gives 20hp more power and 200Nm more torque than the previous standard unit, important new aspects of the coach are the PCV (Premium Comfort Valve) shock absorbers on all versions and all axles which optimise passenger comfort, the Emergency Brake Assist and more powerful headlights that are LEDs, like all lights on the coach except those at the rear. Further developments for 2018 include a new colour driver display and a driver window with invisible heating wires. Sometimes you have an opinion of a vehicle based on previous experiences and then spend some time in close proximity with one and get a different feeling for it. The latest version of the Cityliner certainly grew on me during this test as I had the opportunity to compare it in close relation to others. I wasn’t too thrilled when it was launched at the IAA last year, probably because I was expecting something entirely new, though to me it looks, externally at least, like what went before with a new front and back. However, when I got down to scoring the different participants against each other on a range of criteria it was clear that the latest generation coach has a lot going for it, both for the passenger and driver. Despite the reversed diagonal feature pillars at the front, the coach offers passengers one of the best views out, the indirect lighting makes for a really warm yet modern interior feel and there are touches like the really useful handle above the centre exit door that makes getting out so much easier, the ridge in the seatback tables for your iPad, the optional Atlas video-on-demand system and USB points handily located under all seats. I’m not very keen on drop-down monitors over the aisle, because they are too easy to bump your head on, but at least they are spring-loaded and return to their position a few seconds after you walk into them. And if you can’t decide whether to have a chemical toilet or a water one, no problem, at the flick of a switch the unit will convert. 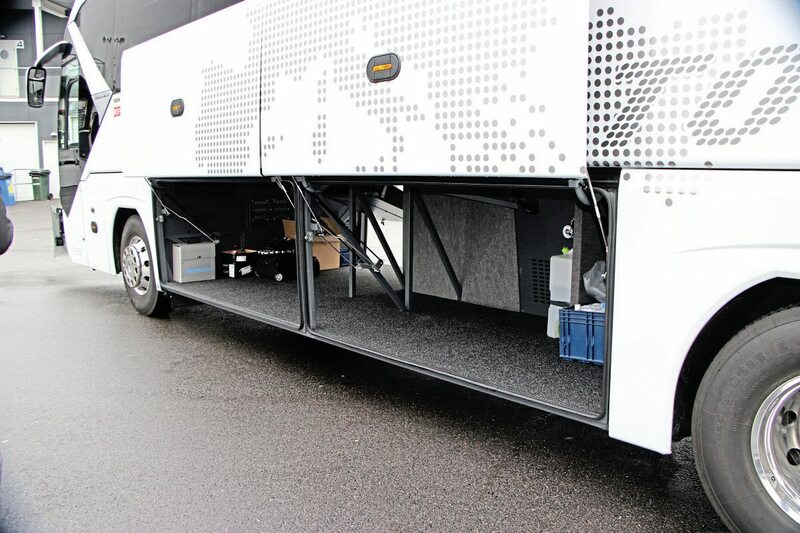 It has TPMS monitoring as standard and every coach comes with a tyre repair kit with tyre repair ‘milk’ capable of coping with small repairs and getting you home. 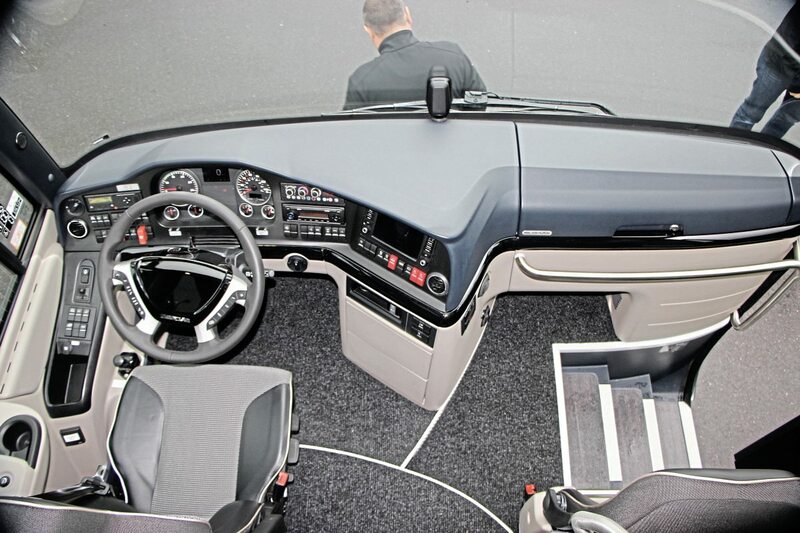 During the Jury debrief session, there were no negatives about the driving experience, with everyone praising the ride and suspension, and plaudits too for the dash with its easy-to-read displays, the smooth, continuous working of the retarder, the ability to crawl in traffic at idle speed, the quietness and the visibility. It was noted that during tests it accelerated more rapidly than all of the others, whether or not kick-down was used.